Across my lifetime, I have tried numerous mechanisms for my website with a basic blog system, including WordPress, Pelican, Jekyll, and even a home-grown solution on Google App Engine. I have now settled on MkDocs, which is definitely not intended for blogging, but I find it well-suited for the task. I installed mkdocs with pip install mkdocs and created a new project using mkdocs new .. I also initialised a Git repository on GitLab to version all the configuration and content. Now it's time for some configuration. The custom_dir line is so that we can override parts of the HTML. To build the site locally, run mkdocs build. 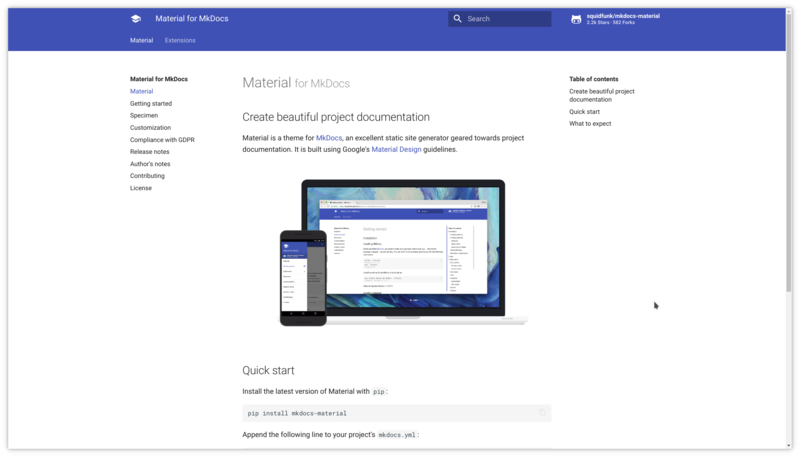 You can also use the live preview web server built in to mkdocs with mkdocs serve. I am deploying my site on GitLab Pages, taking advantage of its continuous integration for building the site, similar to how GitHub can automatically deploy Jekyll sites. I based my .gitlab.ci.yml file on this example. Note that you need to set the site_dir value in mkdocs.yml to public so that GitLab Pages can deploy, because it looks for the HTML in the CI public artifact folder. I set up my custom domain retnikt.uk (instructions) and finalised my configuration.